Director – HSN Realty Services India Pvt. 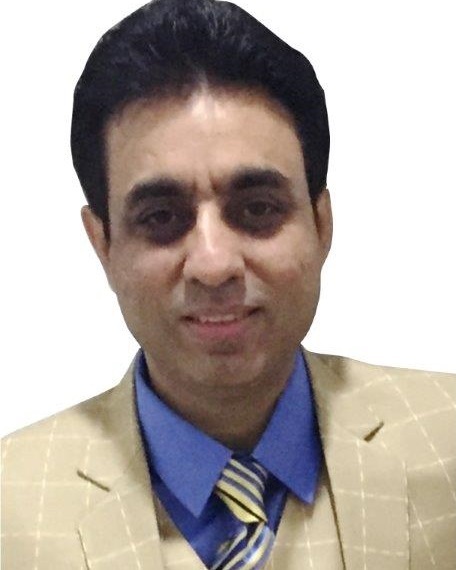 Ltd.
Sunil Sahni has an experience of about 18 years in Corporate Leasing, Investments and has handled large ticket transactions in Commercial, Residential and Industrial Sectors. He has the ability to handle any type of Real Estate requirement and has a strong network in Corporate Sector and he also has an experience of handling Elite and Large Interior projects and served many prestigious Multinational Companies. Sunil’s dedication and seriousness have taken all the companies herein below to new heights of success Year on Year. Director: HSN Realty Services India Pvt. Ltd.
Director: HSP Office Basics Pvt. Ltd.
Director: HSN Interiors Pvt. Ltd.
A Premium Office Interiors Company exclusively for Corporate Offices. Director: Obasix Industries Pvt. Ltd.
A leading Company into manufacturing and importing of Creative Office Supplies essentials.